Our take on the popular bánh mì sandwich features sliced chicken breast, pickled vegetables, Sriracha mayonnaise and cilantro on a French roll. The Mexican-style Caesar salad packs a lot of flavor, featuring tortilla strips, Monterey Jack cheese, green onions, antibiotic-free chicken and a garlic cilantro dressing. One of our most popular sandwiches is the roasted turkey sandwich with pesto and cheese on tomato focaccia bread. Looking for a smaller snack? We carry fruit cups, pretzels with hummus, a cheese and cracker tray, giant chocolate chip cookies, yogurt, donut holes and much more. You are bound to find something you like! Our 21-and-older riders can pick up a cold bottle of craft beer to enjoy with their food. We’ve partnered with local breweries including Stone Brewing, Figueroa Mountain Brewing, Firestone Walker, Island Brewing Company and others to bring you more delicious options. TIP: We also carry spirits to make your favorite cocktails, as well as red and white wines. And while you can’t eat them, we sell discounted one-day passes for LA Metro and San Diego MTS as part of our Transit Transfer Program. You can also get a simple pair of headphones or a pack of Amtrak playing cards! Stop by and say hello to the Café car attendant during your trip. He or she can help you choose between all of the great food and drink options that are available. View the whole menu. Hi Charlene, if your husband uses a wheelchair, you can select “Passenger With a Disability” as his fare option when booking the trip – “Reduced Mobility” is one of the options. The fare is discounted, and you will be seated on the lower level of the train. During the booking process you can also request assistance from the crew. 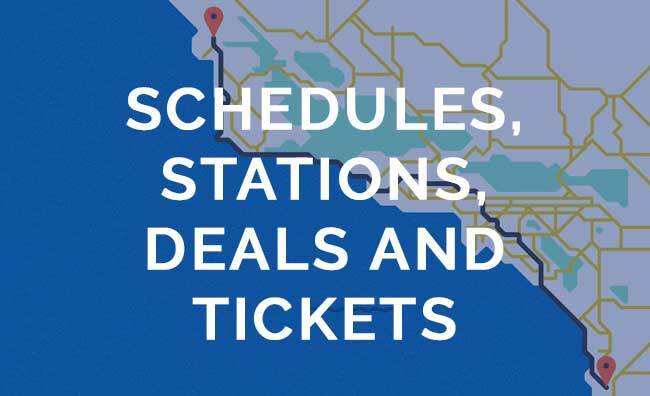 The round-trip cost of traveling between Chatsworth and Santa Barbara with the AAA and Passenger With Disabilities fare discounts would be $80.50 total for the two of you.